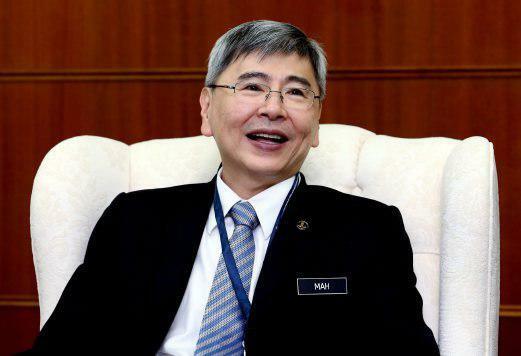 Malaysian Minister of Plantation Industries and Commodities Mah Siew Keong will arrive in Tehran on Sunday at the head of a 25-member delegation to explore avenues of expanding bilateral ties with high-ranking Iranian officials. During the two-day visit, Keong will be holding meetings with Iranian Minister of Industries, Mining and Trade Mohammad Reza Nematzadeh, Minister of Agriculture Mahmoud Hojjati, and the head of Iranian Parliament’s Health Commission, Ali Nobakht Haqiqi, IRNA reported. The Malaysian delegation will take part in two seminars on wood and palm oil, and hold talks with their Iranian counterparts on expanding cooperation in the field of natural rubber. Iran’s palm oil imports from Malaysia decreased by 19% in 2016 compared with the previous year.